It’s… it’s… a ballroom blitz! 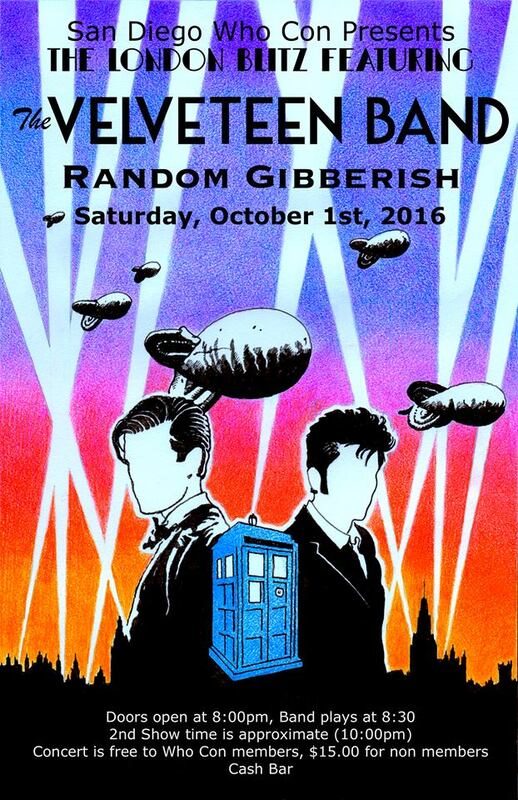 In just two weeks (on Saturday, October 1st), we’ll be headlining “the London Blitz”, part of this year’s San Diego Who Con! We’re obviously huge fans of Doctor Who, and frankly, of San Diego. So this is a huge honor all around. Random Gibberish is also performing! If you need a hotel room, there’s info on that here. Be sure to “like” San Diego Who Con’s Facebook page for up-to-the-minute announcements! Previous PostThis Friday! 6th Annual Victorian Steampunk BallNext PostSan Diego Who Con – Call the Doctor! I wish I could go. Quilt show in Kingman that weekend. I love you all.